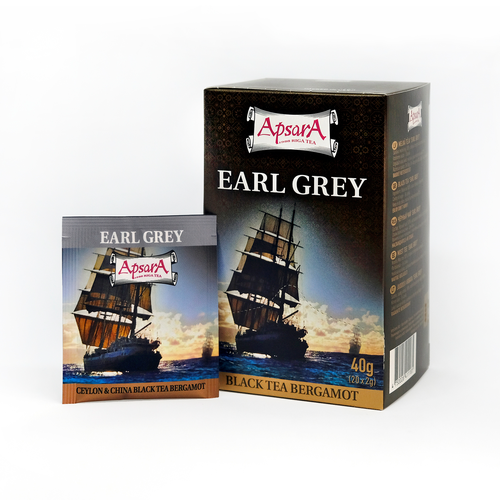 Ingredients: blend of black teas from Ceylon and China with flavour of bergamot. Taste: smooth, with delicate hint of bergamot. Features&recomendation with food: Invigorating and delicate cup. Serves well after strong meet dish. Product highligths: Every tea packer want to suceed with producing right taste of Earl Grey. This is our secretive blend to appeal tea lovers! Teas are packed with highly sofisticated device, providing evey tea bag with a knoted string and tag. Envelopes are sealed for freshness and protection of tea.